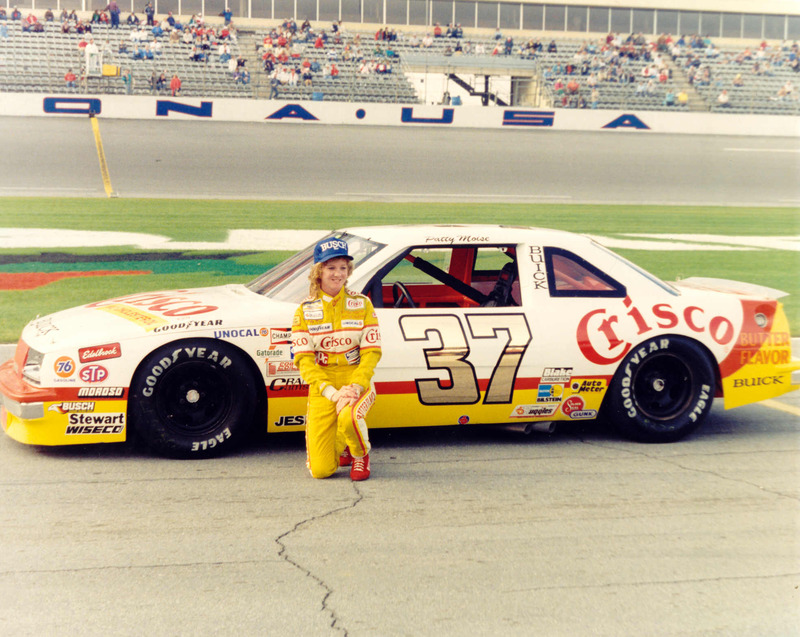 Patty Moise poses with her 1988 Crisco Butter Flavored Buick. No the Buick isn’t butter flavored. Red, Yellow and white with a curved stripe up the side is a good look. I also like the logo curved over the wheel well. The gold reflective numbers look good, and the black outline works very well. The white looks really good on the Buick. The Butter Flavored letting could be in a different color, as it sort of blends in to the stripe. I also like the lettering on PATTY MOISE above the door.